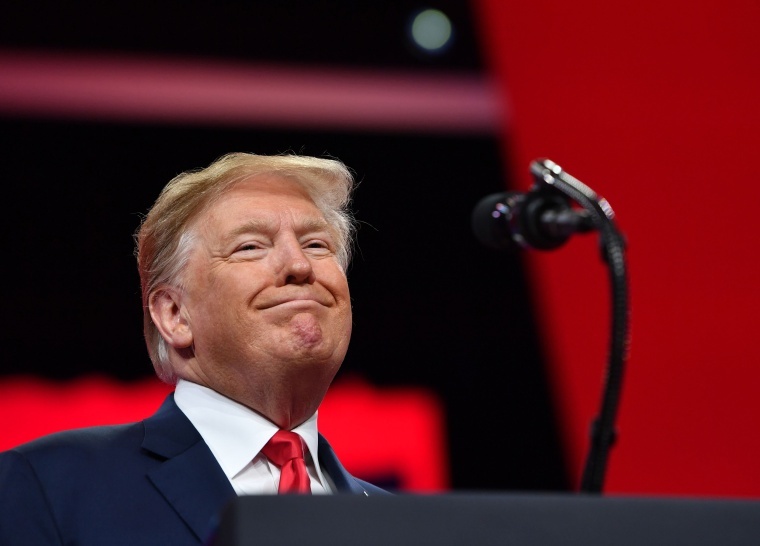 After making Facebook advertisements a key part of his 2016 run, President Donald Trump’s campaign continues to spend heavily on the social network as Democratic presidential candidates begin their own social media efforts. Trump’s spending in early 2019 was more than the Democratic campaigns combined, but he has been out-spent by some candidates in recent weeks. Former Texas Rep. Beto O'Rourke out-spent Trump two weeks ago, dropping $157,000 on Facebook compared to Trump’s $109,000. Last week, Sen. Amy Klobuchar, D-Minn., spent $198,000 to the president’s $150,000. In hundreds of ads — featuring captions like “How much more American blood must we shed before Congress does its job?” — Trump urged supporters to contribute to an “Official Secure the Border Fund,” donations that went to the president’s re-election effort. Trump’s Facebook ad buys come from two groups: Donald J. Trump for President Inc., the official campaign committee, and the Trump Make America Great Again Committee, a joint fundraising committee composed of the Trump campaign and the Republican National Committee. Those groups spent about $1.3 million in the first two full weeks in January, with spending declining in recent weeks, the data showed. Much of Trump's current spending is "aimed at expanding and engaging databases of potential supporters and donors," said Greg Dale, the director of campaign relations for Tech for Campaigns, an organization that builds technology and provides talent for centrist and progressive political campaigns. "Without a hyper-competitive primary, the president can invest long term, while Democrats need to immediately show momentum and build up a base,” Dale said.